We are in the midst of the fall gala season which is a time of year when I get to dive into something I most love about event work – helping people share their stories. A powerful story told from the stage will trump any impact you might have with other event elements such as décor or entertainment. One of the most rewarding experiences I have had in recent months is the opportunity to work with Tracie, a University of Minnesota patient who spoke on Friday, September 7 at Red Heart Soirée, an event benefiting cardiovascular research, education and patient care at the University. Tracie, who received a heart transplant on August 7, 2014, hit it out of the park when she helped set up our most important fundraising moment of the evening through her remarks which were sincere, heartfelt, and written from a place of tremendous gratitude. This month we share tips for helping your program speakers feel comfortable and connect well with your audience. In this article we have intentionally focused on speakers who do not routinely do public speaking such as a client of your organization. These best practices can also be helpful, though, in working with all speakers who are part of your program. Select with intention. Before you invite someone to speak at your event, make sure you have clearly identified the criteria for your ideal speaker. Whose story is on target with your key messages, and who do you feel can best connect with your audience? Connect early on! Once someone has agreed to speak, schedule a time to meet with them several weeks in advance of your event. Share the overall program show flow, and provide guidance on the key messages you would like them to cover. Less is more. One of the biggest challenges for someone invited to tell their story is boiling down significant life events to a small allotment of time, such as 3-5 minutes. Your guidance is key in helping your speaker weave their story together in a way that will resonate with and inspire your guests. 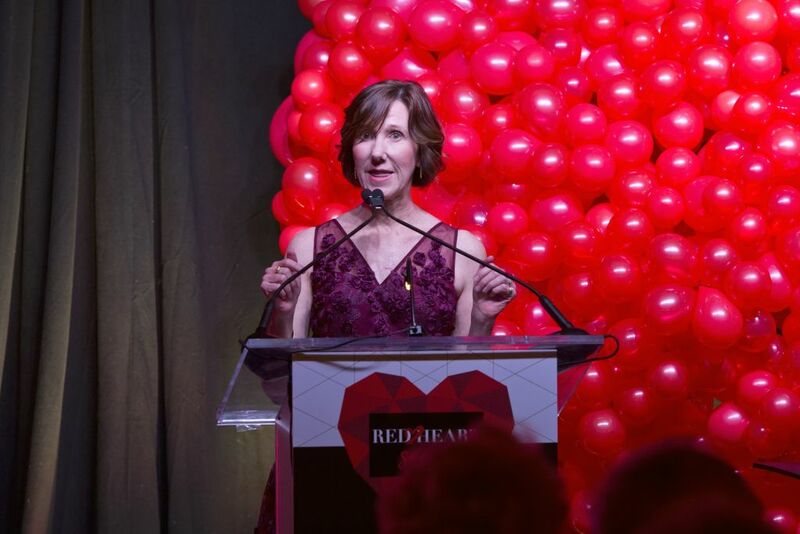 Tracie Vandenburgh, who received a heart transplant at the University of Minnesota, shared her story at Red Heart Soirée earlier this month. Scripting is essential. My typical process is to have a speaker write their remarks, meet to review the draft, and connect again to rehearse the final version. Intentional scripting is key to ensuring messaging is as impactful as possible. Integrate visuals. While you want to keep the audience focused on your speaker, the use of a handful of photos on the screens to support their remarks can be powerful. Set the stage. Make sure you review the staging and AV plan with your speakers. Identify the style of microphone (podium, handheld, or lapel) that is going to work best for them. Coach them on the plan for entering and exiting the stage, and be in tune with any accessibility considerations. 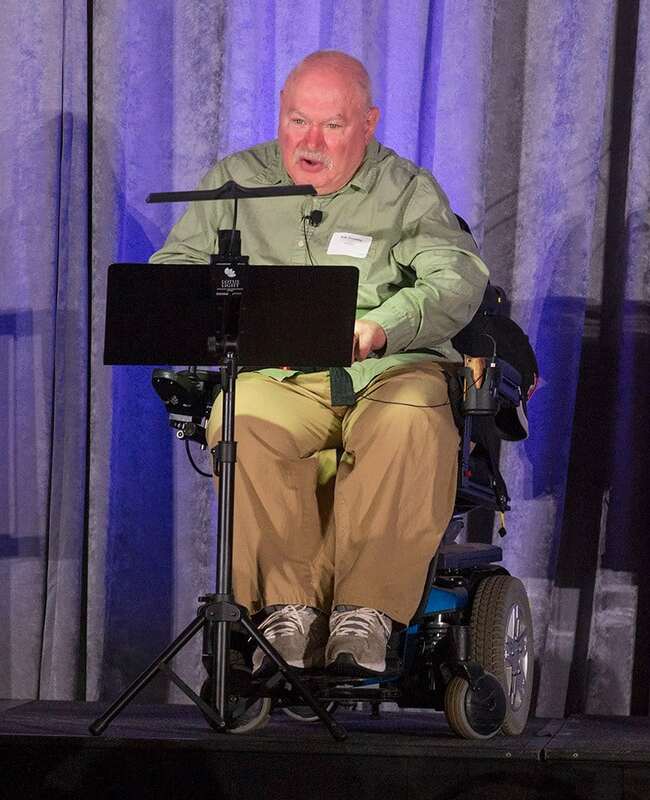 At Courage Kenny Rehabilitation Institute – St. Croix’s 2017 Encourage Breakfast, Bob Terpstra talked about his journey of recovery from an accident. Testing 1, 2, 3… Have your speaker arrive early on event day to get comfortable with the layout of the room, run through their remarks a final time, and do a sound check. Speak from the heart! Assure your speaker that it is natural and okay to be nervous. Encourage them to be themselves and speak from the heart. That’s when magic happens! Everyone has important stories to share, whether from the stage or in every day conversation. This fall may you be witness to many inspiring stories.